The Kokatat Leviathan retails for $159 and has just about everything a kayak angler could want built in. 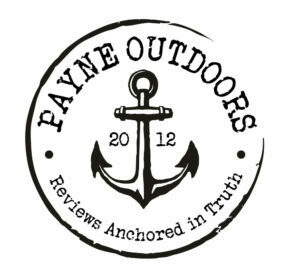 Have you ever wondered what the Cadillac of kayak fishing lifevests is? The Kokatat Leviathan may likely be it. The feature rich PFD has pockets for days, attachment points on nearly every flat surface and includes some subtle touches that many other lifejacket companies just don’t spend the time and money to incorporate. The biggest question though is how did it handle through the testing phase? 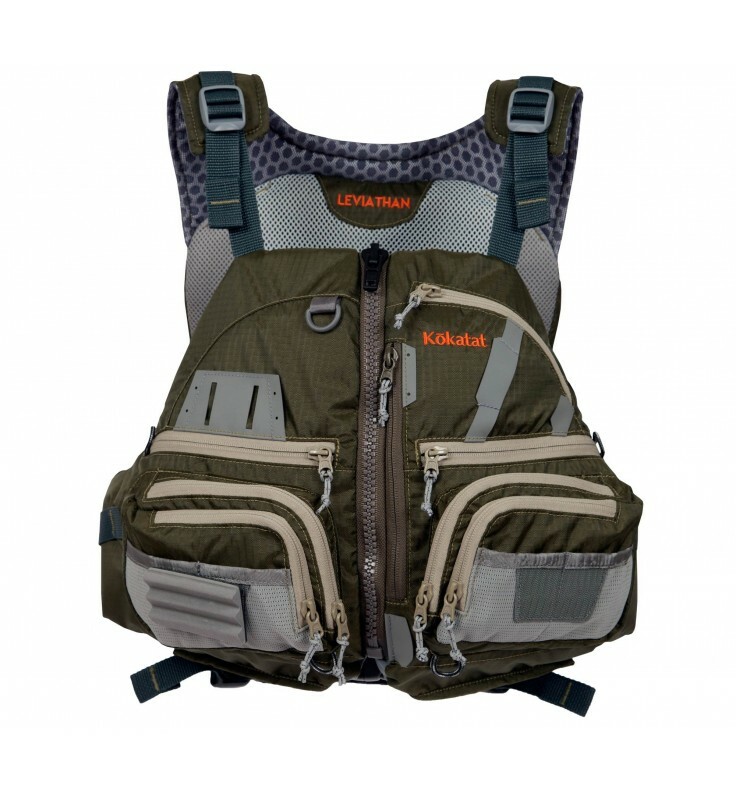 From Kokatat: The ultimate kayak fishing life vest, the Leviathan has 14 pockets and multiple fixture options allowing anglers to carry lures, tools and gear wherever they choose. 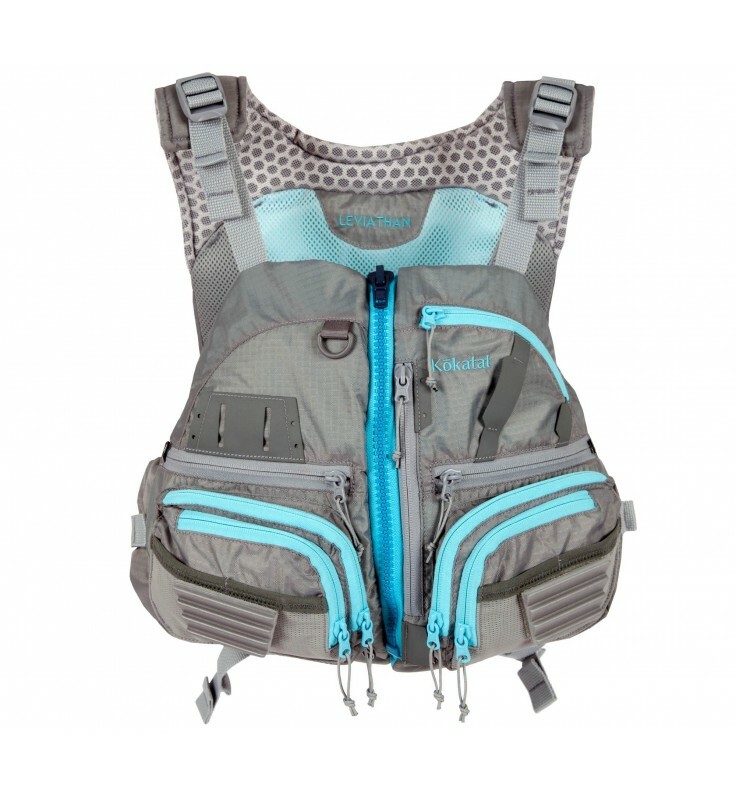 This high-back, performance, recreational life vest features body-mapped Gaia® foam panels contoured precisely to allow the life vest to wrap the torso in a secure fit. Gaia® is completely free of CFC ozone depleting chemicals. This recyclable foam is very flexible, taking and retaining the shape of your body for a comfortable, custom feel. Fleece-lined hand warmer pockets are a bonus for those chilly days. To accommodate the high seat backs in most fishing kayaks, the Leviathan features a high-back design with quick drying Ariaprene mesh lower back. The first thing you notice when you see the Kokatat Leviathan is pockets. The Leviathan has room for everything you want to keep on you. I like to keep my wallet, keys, and phone on my person in case I get separated from my kayak for some reason. I can do all that and still have 11 pockets left. The abundance is perfect for folks who wade outside of their kayaks because you can store lots of additional tackle in all those places. If you like to fly fish, it has fly drying foam too. The attachment points for a knife and pliers is really nice and out of the way so it won’t intrude with your casting. The back floatation and hex vent mesh material hit all the right notes. The eco-friendly foam that lends its floatation properties to the Kokatat Leviathan are a great bonus. You can tell that the foam has been placed in front and back to not be intrusive. For those like me with a belly, the frontal foam rides a little higher than some other vests so it doesn’t fit awkwardly tight in some areas of your torso and loose in others. Multiple adjustment points also make this an easy fit for almost all paddlers. The floatation foam in the back is placed high and didn’t hit the frame of my kayak chair. The hexagonal, alternating mesh that makes up the rest of the back breathes really easy and was nice on the warmer Texas days I was able to get out for testing with an average of 78 degrees. As an aside, I also like that the Leviathan comes in color ways for men and women. The Gray, Women’s version of the Kokatat Leviathan (though I think I could totally rock that color). The biggest reason this kayak PFD won’t be on every single kayak fisherman’s wish list this year is the price point. At $159 for a Type III lifejacket, it will simply be out of reach for lots of folks who will likely lean toward sub-$100 offerings. As far as functionality, the fleece lined pockets weren’t of any use to me and I worry they might get a little funky with fish slime and other fishing messes over time. I’d offer a version without it for us Southerners who rarely see months of freezing temps and merely have to withstand a couple of weeks of temps in the 30s. While the hex mesh in the back is great at ventilation, the foam up front had me sweating pretty quick. Understanding Kokatat is probably best known for dry suits, it lends itself to expect the Leviathan has been vetted in places that are cooler climates than Texas. From November to the first part of March the Leviathan would be awesome on the water. After that, it might be a temptation to take it off in temps above say 80 degrees. I’d love to see the Kokatat “Kraken” or some other fitting name in a thinner foam for us warm weather year ’round folks. 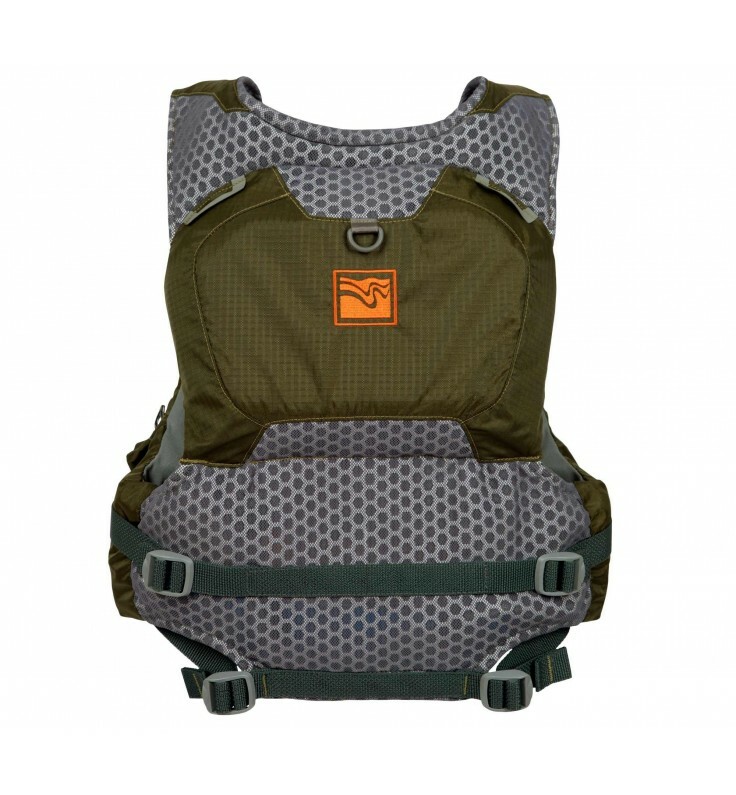 If you love storage and attachment points in your PFDs, want something that can work for conventional and fly fishing, and works for wade fishing too, the Kokatat Leviathan is a lifejacket you should check out. The price point is on the higher end for these styles but if you only want to buy once, buy right the first time. To see more about the Kokatat Leviathan click here. I would agree with you. Making it a little more usable in warmer temps would be nice. Here in southern Ohio most of my kayak fishing is in chilly but not cold weather and can lead into a hot day also. I wonder if they made the foam up front removable leaving a good liner between you and your stuff.